Steven took this photo of Christo and Not-Dora/Nora (on the right) yesterday atop the Christodora House on Avenue B. 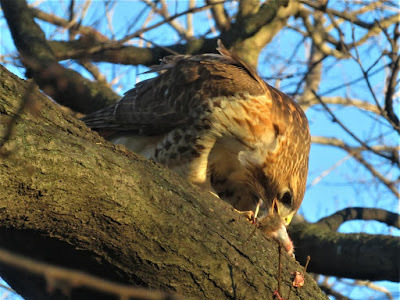 As previously reported, Christo, the red-tailed hawk of Tompkins Square Park, has been spotted several times in the companionship of this hawk while his longtime partner Dora continues to recuperate from an injured wing suffered in late November. 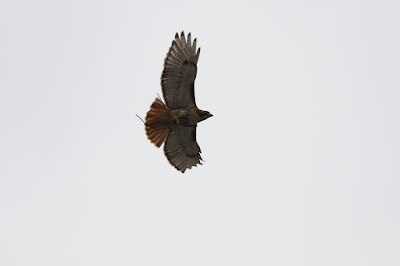 [A]s of this week, her wounds have healed, but she is still unable to fly. She is still in the care of WINORR and we are hoping she can exercise her wing and regain strength. I really miss her and I think maybe Christo does, too. I try not to anthropomorphize and project my feelings onto him, but he has been acting sullen and surly since she's been away. 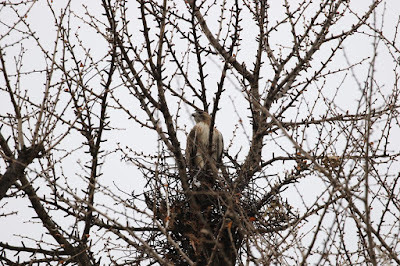 Goggla has more on Christo, Not-Dora/Nora and a juvenile red-tailed hawk in this post. I have not personally seen the opossum in the Park lately ... but there have been several sightings this past week. Perhaps we'll have some photographic evidence soon. Because people have asked about the opossum. 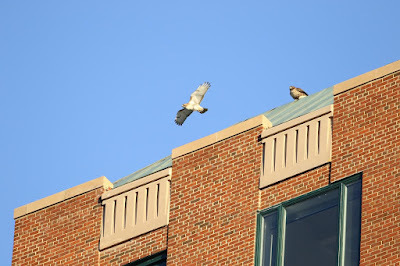 The best East Village hawk-opera. Fingers crossed for Dora quick recovery and a happy ending. So what happens when Dora comes back and Christo has decided to move on? 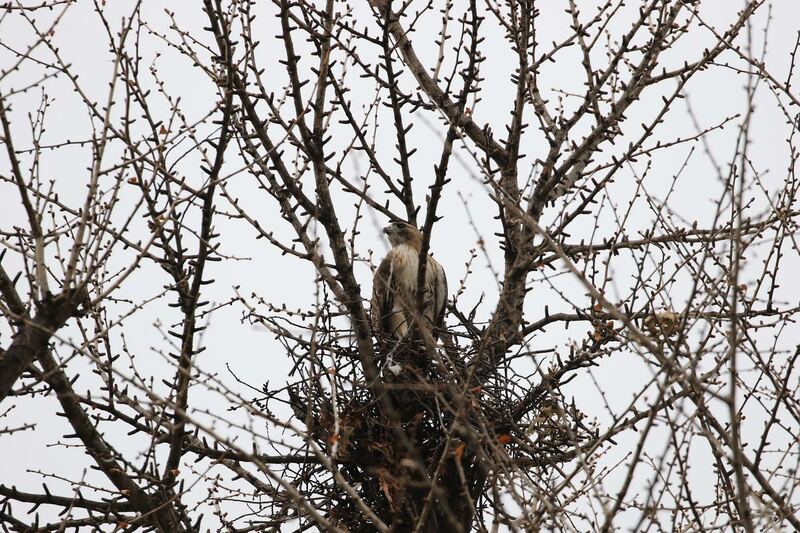 Does he immediately drop the new chick for the old one since they mate for life?